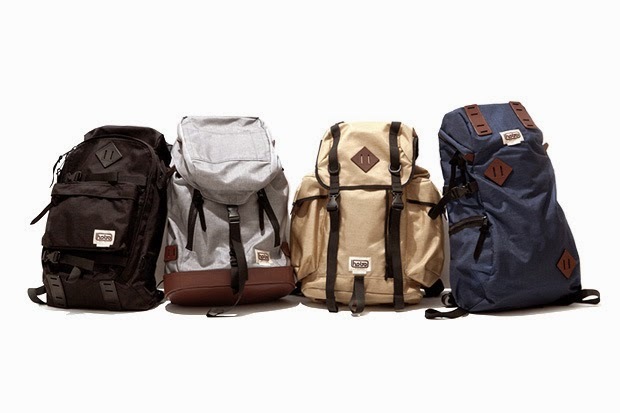 Mr Bru Cru: Hobo x TRUCK 2014 Backpack Collection. Hobo x TRUCK 2014 Backpack Collection. Japanese brand "Hobo" and furniture maker "TRUCK" come together to give us a collection of backpacks for the upcoming Spring/Summer of 2014. They include water-resistant nylon and tons of leather detail. I've been in search of a new bag for months and these definitely caught my eye. The collection is limited and goes on sale March 29th. Make sure to click here for more information.